Research — Elisa Mantelli, Ph.D.
From Clark and Spagnolo (2016). 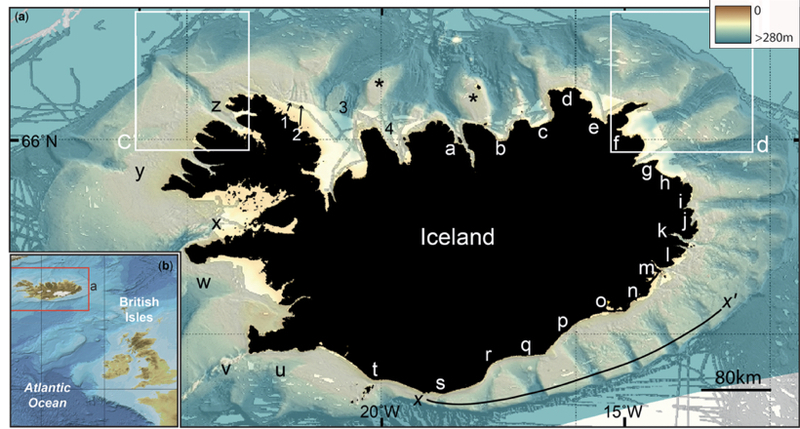 The troughs in the continental shelf off Iceland are interpreted as the former location of ice streams. Note the beautifully regular spacing! What are the physical processes driving spontaneous ice stream formation? Ice streams are narrow bands of rapidly flowing ice which have the potential to cause rapid shrinkage of the ice sheet through their high discharge. A prominent feature of these ice streams is that they exhibit complex spatial and temporal dynamics: they can emerge spontaneously out of an otherwise uniform flow, self-organize in space (see picture on the left for a slightly unconventional example), and switch on and off over time. Even though ice streams have been long studied, the processes responsible for their initiation are understood only partially. Based on observations that ice flows slowly where it is frozen to the bed, while streams are at the melting point, with this project I am looking at the role of thermally-activated basal sliding with respect to fast flow initiation [link to AGU 2018 abstract]. Can a noisy climate cause major shifts in ice sheet behaviour? When a physical system admits multiple stable states, a relevant concern is whether the system is approaching a transition between them and how fast. In ice sheet dynamics this might be, for example, the initiation or shut down of an ice stream or, more broadly, current concern over understanding whether observed change is reversible or not. My current work in this direction concerns the temporal dynamics of ice streams. In a recent paper [Mantelli et al., PNAS 2016], I showed that realistic, stochastic, climate forcing can interact with the physics underlying temporal ice stream dynamics, and cause destabilization of a steadily streaming ice stream into one that switches on and off in time even in the absence of changes in the mean climate. In the model, the signature of the underlying dynamics is apparent in the statistical properties of the ice sheet response while it undergoes destabilization, thus suggesting that this signature can be used diagnostically to interpret observed ice sheet change. How to constrain evolving basal conditions from observations? 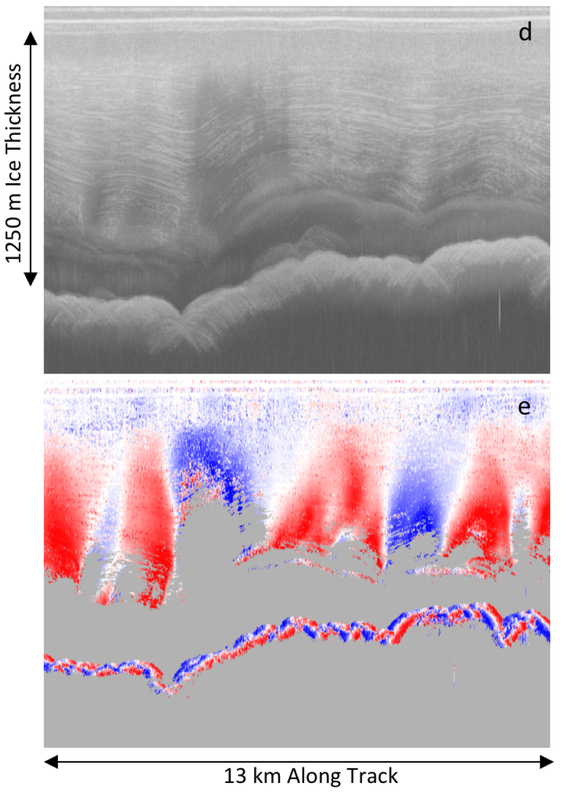 A number of dynamic ice sheet behaviors, including the spatio-temporal dynamics of ice streams, glacier surges, and ice sheet seasonal speed-up, are related to feedbacks between basal sliding and evolving basal conditions, particularly effective pressure (the difference between ice overburden and water pressure at the bed) and basal temperature. One of my research focusses is on trying to constrain these variables from observations, in particular englacial layers.